As one wit remarked recently on The Roar, if there’s one thing A-League expansion has brought about, it’s a preponderance of articles on expansion. 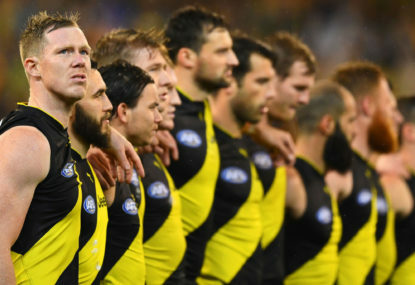 The financial reports for AFL clubs for last season are starting to come in, and early indications are that quite a few clubs are reporting good profits, including clubs which failed to make the final eight. Following a couple of years of agitation, working groups and negotiations, which finally led to a change in the FFA constitution, the expanded congress were able to vote in the new board at Monday’s AGM. This is the second book review I was intending to do for those interested in some light reading over the AFL off-season, which happens to coincide fortuitously with the Summer holidays. Given that the festive season is almost upon us, which happens to coincide with the middle of the AFL off-season, I thought I would take the opportunity to review a couple of footy books over the next week or so. 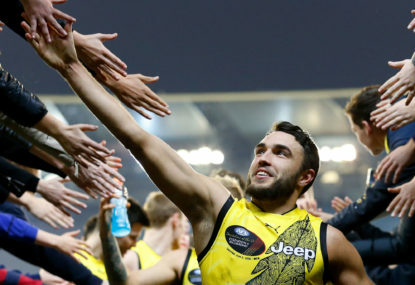 The pre-finals bye weekend is the perfect moment for some reflection, and what better case for introspection than the club that was the first beneficiary of the bye, two years ago. 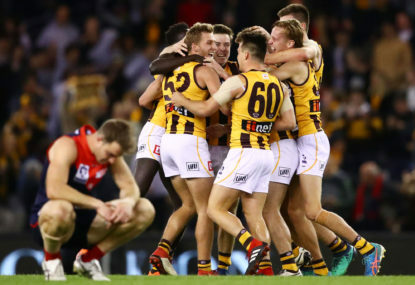 What happened to the AFL's annus horribilis? 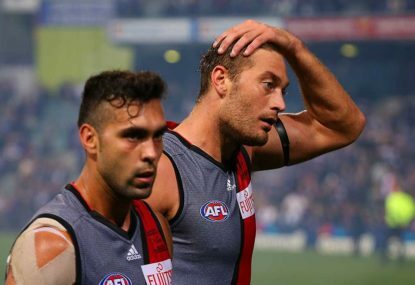 This was the year in which the AFL was meant to have headed towards an untimely fall from grace. It’s that time of year when we review the Australian TV ratings for all the football codes for the previous year. 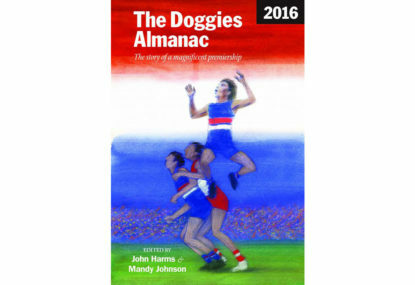 The Doggies Almanac: The story of a magnificent premiership, edited by John Harms and Mandy Johnson, came out just in time for Christmas – not that a Dogs fan needed any further motivation to buy it. 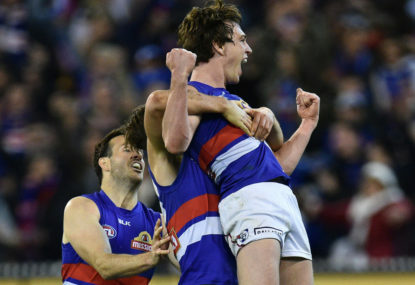 After a solid week of premiership celebrations, high fives, hearty hugs, back slapping, swapping texts with distant friends, celebratory drinks, special dinners with family, devouring everything written about the game and then some, what do Bulldogs fans do now? 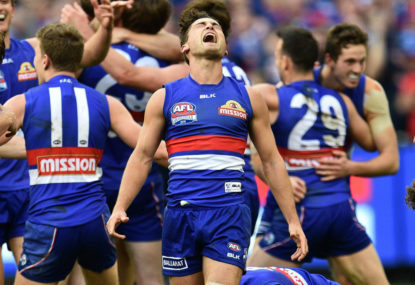 With most Western Bulldogs fans relishing their club’s first appearance in a grand final in 55 years – for many, the first in their lifetime – it’s worth taking a moment to consider how Luke Beveridge and the players have achieved what looked near impossible at the start of the 2015 season. 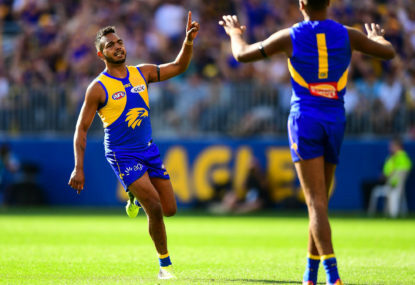 The start of the AFL season meant the Easter long weekend was fully booked, with Super Rugby and the NRL having started a few weeks earlier, and the A-League approaching an exciting climax to its season. 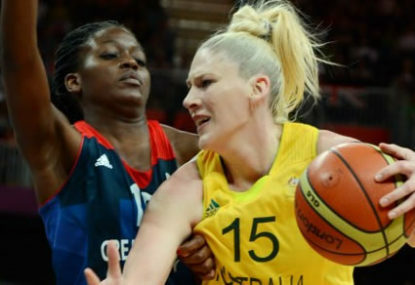 Being on the eve of the WNBL finals, now is a good time to pay tribute to one of the great clubs of the modern era – not just in women’s basketball, but in Australian sport. Yesterday, The Roar reported on the GWS Giants’ plans to develop the Manuka Oval to the tune of $800 million. I am about to enter very dangerous territory – a story carrying a trifecta of controversy. In Part 1 I briefly touched on the WADA/CAS strands in the cable approach to finding the 34 players guilty of using Thymosin Beta-4 (TB4), despite that fact that no single strand extended out far enough to prove that even a single player used TB4. 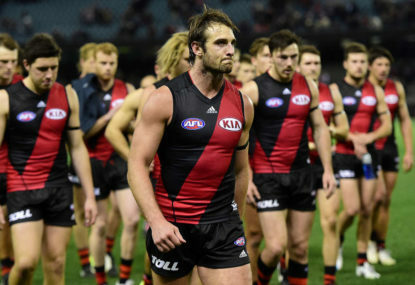 I should know well enough to leave the issue of the Essendon players’ suspension alone. 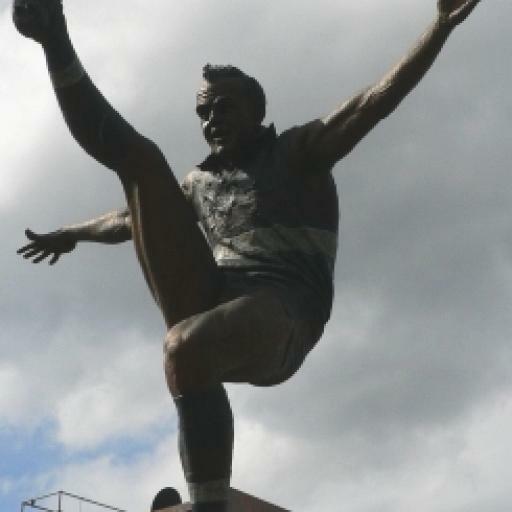 One of the great Australian sporting stories of all time is how at the very inception of Super Rugby, at the dawn of rugby professionalism, Rod McQueen took over a newly formed squad of rejects from other states and some local boys together. 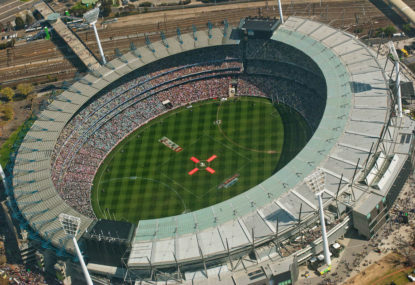 It was earlier this year when the AFL CEO, Gillon McLachlan, publicly announced the AFL’s intention to have a national women’s football competition commencing 2017. This article continues my series of monthly updates on the ratings and attendances of club football games in Australia across all four codes. He wasn’t the answer when aged 31, so he probably isn’t the answer now. A bit strange to compare the re-signing of a veteran player on the one hand, and a manager on the other. Having Robbie Fowler involved in the A-League can only be a good thing, and I wish him and the Roar all the best. There are no guarantees in life, applies doubly so on the sporting field. Good point, well, in Melbourne pre-1980 absolutely nothing happened on a long list of holidays and on Sundays, and even on Saturday afternoons (stores closed at 12pm or 1pm). That’s what Melbourne was like back then. Pre-TV (1956), and yes, I think it’s fair to accept that we were a bit more observant of Christian traditions, but by the mid 1970s, less so. Bit by bit, Melbourne grew up, became a bit more mature, and started to take an even greater advantage of its inherent cosmopolitanism. And thus, the debate of playing footy games on Good Friday. It’s fair to say that by the time we allowed a game on ANZAC Day (back in the mid 1990s), that Good Friday was definitely there for the taking, and any Christian sentiment would not have been strong enough, of itself, to hold it back. The Ch. 7 telethon, that had been around since the dawn of TV, was one thing which would come into the debate. Like what happened with ANZAC Day, ultimately it was simply about creating something which would benefit the telethon rather than distract from it. 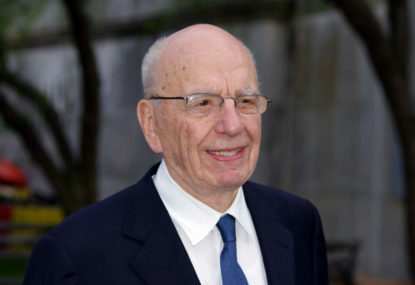 Yes, although we accept that politics is a dirty business (and depending on time and place, a bloody one as well). For much of recorded history, the two were indistinguishable. Melbourne City is like that little subsidiary at the A-end of the world, stumbling along, fails at its core activity, but is able to generate some side-income to keep the whole operation going. Head Office can just let them be, doesn’t cost them anything, no real reason to pump any money into it, don’t require their attention at all, and every now and then they uncover a gem which might actually be worth something back home. For Australian soccer, Melbourne City is a reminder that if anyone has dreams of being able to sell players overseas for mega-bucks, well, they are exactly that. Melbourne City has a sweet thing happening where it can bring talented players to HO for nothing and display them in the sort of shop window which will attract those mega-bucks – but an A-League club has next to zero chances of attracting those sorts of dollars from the A-end of the world, for a variety of reasons. I agree Canberra would be looking for a BBL team, but there is zero chance of an AFL team in Canberra, zero chance. I think that is only meant to apply for Good Friday. Well, when the Franj embarked on their murderous crusades, they clearly viewed the Byzantines (in the main, Greek-speaking), as being different to them, and in the end, probably killed as many Byzantine Christians as anyone else. Geelong lost two consecutive prelims to the pies back then. It was pretty big news at the time, I can still recall Billy Goggin getting interviewed on World of Sport, in the Coach’s Corner segment. His side of the story was that Sidebottom missed the team bus, but when you hear the accounts, the bus didn’t hang around waiting to see if he was going to show up. Given it was a prelim, it represents a remarkable case of complacency on both sides, but it’s pretty clear that Sidebottom didn’t make a lot of effort to work out whether he was in the team or not, and his relationship with the coach was probably not that good as Goggin hadn’t said anything to him either. Correct, but it’s still used in this day and age, so still holds a place in some or our most important governing institutions. I’ve already enjoyed a few easter eggs this morning, all that weight loss from the past 9 months or so put at risk. Raised a Catholic, long ago I forgot which bits of Easter represented which bit of the execution/resurrection story, so I was miffed when my wife advised that we weren’t allowed to touch the Easter eggs until Sunday. One thing which has occured to me in recent days is that the Holy Bible still has an important part in today’s society, for example, we still use it for sworn statements in court and the like. I’ve wondered whether we should just dismiss it all as a bit of religious kookiness, laugh it off, hope we don’t go to hell for our sins (we are all sinners, born with original sin no less! ), and just get on with daily life, share a bit of wine and bread, etc. The problem might be that you do not know or understand what “indigenous” means. 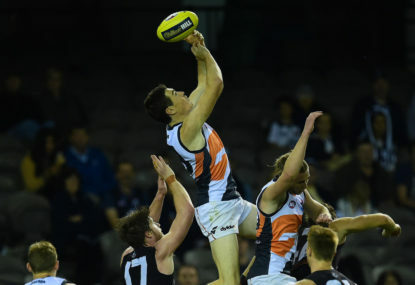 As for the name, the official name of the game is Australian Football, and thus the Australian Football League (AFL) is both the governing body of the game called Australian Football and the name of the elite level of compeition. The last point to make is that the last time the AFL commissioned an official history, that official history controversially debunked the Marn Grook connection, so it’s quite incorrect to suggest that the AFL “is so keen to try and prove the theory of Marn Grook”. 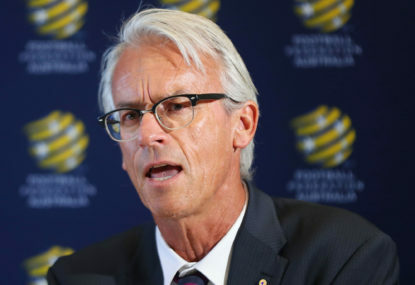 Actually, that is what Mike is trying to say, it’s not a matter of personal opinion at all, the current system, signed up to by all the clubs, is that the Champion is determined by the winner of the Grand Final. That’s the current system. That is a fact which is not really a matter of debate, it’s an open and shut case. People can argue whether that should or should not be the system, but until that systems is changed, we currently determine the Champion as being the winner of the Grand Final. I suspect that the longer we continue with the system as it currently stands, the harder it will become to change in the future. I’d also like to point out that in its early years, the NSL decided the champion by way of the traditional European first-past-the post system. It did wonders for that league at the time (just like P&R). You didn’t just state a fact….it was a FACT! He’s not denigrating anyone, he’s telling it the way it is. The Glory has won the Premier’s Plate, but they are not champions until they win the grand final. If some poor deluded soul prefers to call it a knock-out cup, or a league cup or the Giro di Sydney, or whatever they choose to call it, doesn’t really change this basic fact. It’s worth noting that the early seasons of the NSL determined the champion in the traditional European manner. New dawners often forget that everything they are clamouring for, well, been there, done that. In fairness, Winx might be Australia’s best known sporting identity, of any species. I would have thought that’s quite progressive thinking. That’s the best holiday reading I’ve had for while. On this day of days, all the quirky people from all parts of Australia should come together as one. 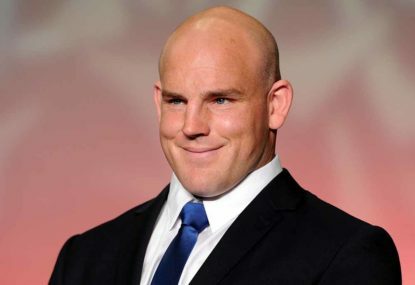 We welcome all people to Melbourne, even rugby people – we don’t even distinguish between the two. You are all welcome! I’d like to use this auspicious day to announce that the Pope is Catholic. The key to getting back to a 1993 style season is to go for a 20 round season. If AFLB comes with a 20 round season, then I’m won over already. Re the old 15m penalty, back in the day, we had reached a stage where teams didn’t care about giving away the 15m penalty to slow down the play. If we went back to that 15m penalty, one would be given away every time, to give every side a few extra seconds to stack the backline with players. 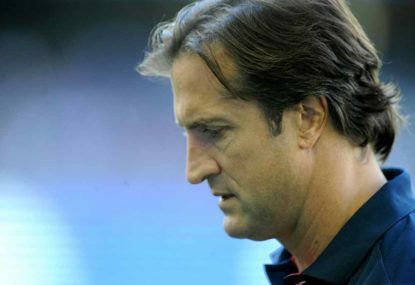 If there is one thing we should not do, it is to revert to the old 15m penalty. Have the AFL's new rules actually changed anything?